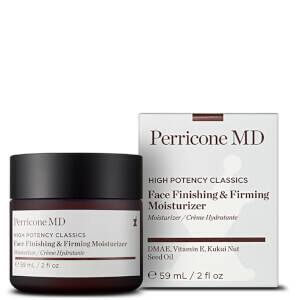 Improve the appearance of skin with Perricone MD High Potency Classics: Hyaluronic Intensive Moisturizer, an oil-free firming moisturizer that addresses signs of dehydration and loss of firmness. Infusing skin with much-needed moisture, the lightweight gel provides essential hydration while reducing the appearance of fine lines and wrinkles. Formulated with three forms of Hyaluronic Acid: Micro Hyaluronic Acid to plump skin; cross-linked Hyaluronic Acid for continuous hydration; and barrier Hyaluronic Acid to help prevent moisture loss. To visibly lift and tighten skin over time, it also contains DMAE and Rosemary Leaf extract. Massage onto cleansed face and neck using a gentle upward motion. Use morning and evening. 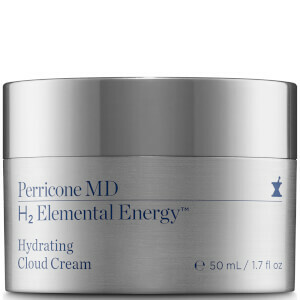 For best results, apply after your favorite serum, serum concentrate or facial cream.